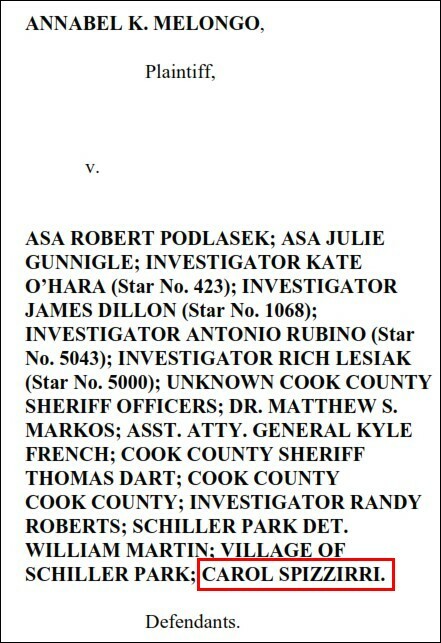 For those interested in political corruption and abuse of the legal system by public officials, the 26-page complaint, filed November 5 in U.S. District Court in Chicago, makes for lively reading. Click here to download a copy or page down to view. To read about the sordid history of Spizzirri (who per the complaint, now lives in San Marcos, California) and her tainted organization, don't miss Where Did the Save-A-Life Money Go? by Don Bauder, San Diego Reader, November 17, 2010. A few weeks ago, the office of the IL Attorney General confirmed to me in writing that their investigation of SALF, which started in July 2010, is ongoing. For more details, see Illinois senator seeks answers on possible $9 million misappropriation by Erin Murphy, Dubuque Telegraph Herald, June 26, 2013.